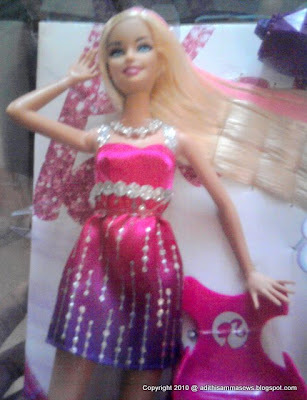 My DD's first Barbie has got a new dress. My DD wants her Barbie to have an exclusive homemade wardrobe as herself, may be even better than her! 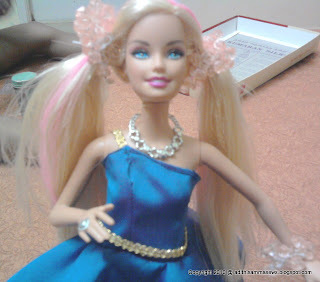 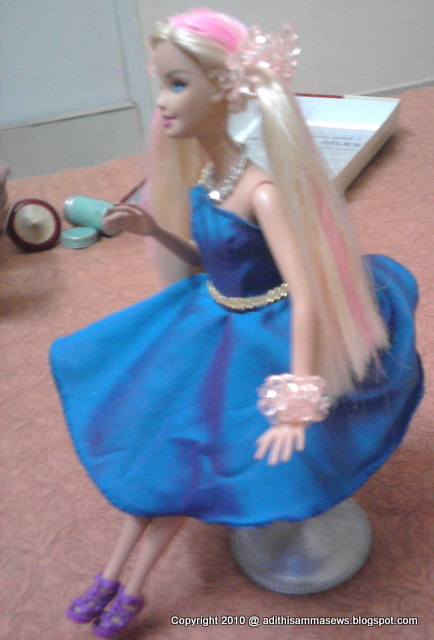 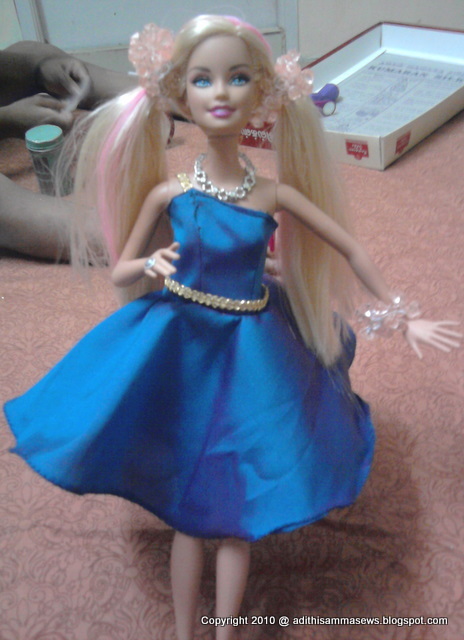 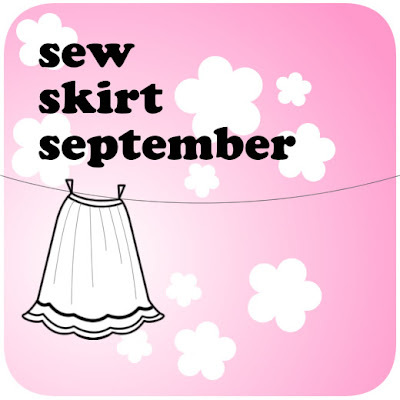 So stay tuned for more such Barbie dresses as well as and when i my DD gets bored seeing her little muse in a dress, its time to sew a new one....!